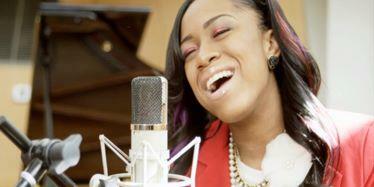 Adept Chicago native of Cameroonian origin, 14-year-old Franchika Abey has unmatched vocal prowess at her age. She has performed at over 100 shows across USA , most memorable during Rev. Jesse Jackson’s 69th birthday at operation PUSH headquarters in Chicago, Performing at the Staple center L.A for a private fundraiser, and MGM GRAND GARDEN LAS FOR ARBONNE. Her brand new single ”Kiss” has been unveiled officially by MacDonald’s for you to savour the taste of the talented Cameroonian songstress.